I bought this for a birthday gift for my daughter. She is not thrilled with it, but is giving it a chance. 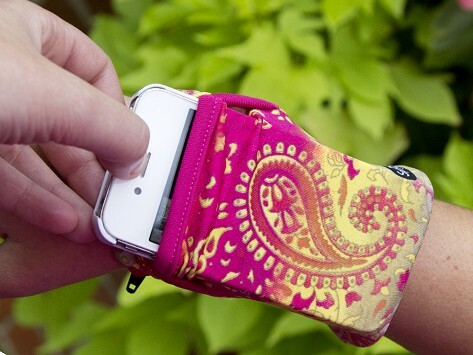 It is convenient to use and keeps her hands free and her phone near while power walking. It is a bit big around my wrist but no worries of it falling off over my hand. I have one of these which has a zip top. But I use it to sleep with because I own a Fit Bit 1 model which has a sleep tracker. I set the Sleep tracker and place the Fitbit in the wristband. It stays in place while I sleep. When I get my 8-hours I turn it off and leave this pouch on my pillow. The Fitbit came with a wristband which holds the Fitbit but it came out one night, I thought I lost it in my bed. Then I found this and it works so much better, plus it very lightweight on my wrist. I do have another one which I use it for my bus pass only. That semi-sheer material allows the light to go thru to activate my bus pass without removing the card from its pouch. I love these so much. Purchased 2 of the Black and White Melange Phone Banjees, one for me and one for my daughter. We love them and makes it easy to carry phone and essentials when pockets are not an option or, in my case, I don't want to have the electronics on my body, less electronic microwaves the better. We ended up ordering 2 more Banjees, so we will wear them in tandem, making it look more like matching cuffs, under our long sleeve garments. Because I am handicapped and walk with two canes or a walker, my hands are full and a purse just in the basket could be easily snatched. My phone didn’t fit but it was well made. Bought this for my granddaughter and I have no idea if she liked it or not. 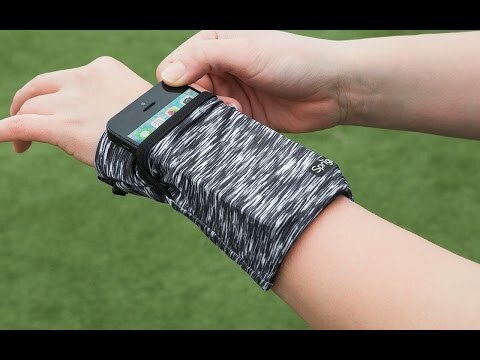 She’s a runner and wanted a way to keep her phone handy while she runs. Hope she liked it! Got this to hold my phone when walking the dog & it works great! I bought these for my teen daughters and they love them. Perfect for my girls who don't like to carry a purse.